Tactile representation of George Washington by Tactile Studio highlighting the different symbols of power. ABU DHABI: The Middle East’s states have recently invested a significant amount to create innovative and universal museums institutions in their territory. The 2017 opening of the Louvre Museum in Abu Dhabi and more recently the Qatar National Museum showed this. 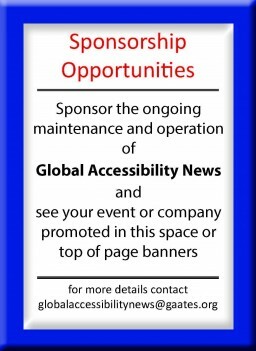 These museums aim to provide coherent accessibility solutions that are designed in a holistic way because they wish to be innovative in inclusive design as well. For example, the Louvre Abu Dhabi imagined (in partnership with the design agency Tactile Studio) an accessible path to lead the visitors through the spaces to the artwork. 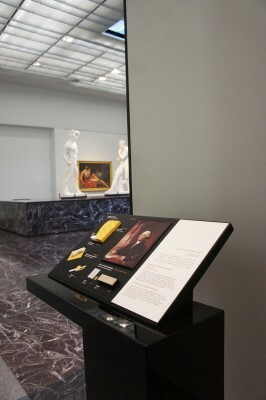 These devices to touch create a journey that gives throughout the museum additional way-finding information about the room or about the artworks. They allow everyone including those with disabilities to use the same devices to understand the artworks and to orient themselves. For example, Gilbert Stuart’s painting of George Washington has been broken down to bring out in a tactile way the different elements representative of power. This allows everyone including blind and visually impaired to understand the meaning of the painting and its elements hidden by the artist. Following the same logic, the tactile device of a Bactrian sculpture was produced. The statue has been reproduced in low relief and in 3D to give two perspective of understanding which makes it possible to make everyone understand the details of the different materials that compose it. The different languages include, Arabic, English, French and English Braille to ensure a maximum degree of inclusion for each device. These tactile journeys are references for design and inclusion in the museum world.